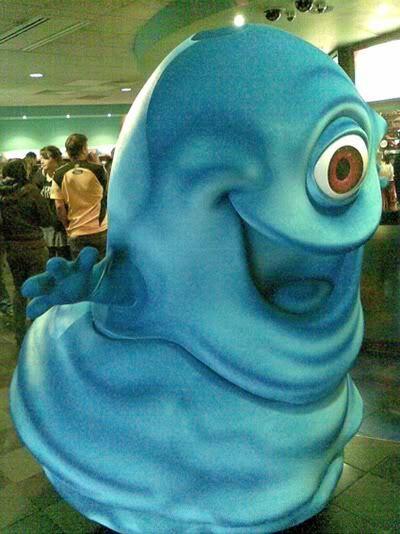 WARNING: Reviews of Monsters vs. Aliens are embargoed until March 21st. This post contains no indication of the film’s quality or merit. I woke up very early (before 9:00) last Sunday to attend a screening of Monsters vs. Aliens, the upcoming animated thing from Dreamworks. I was supposed to be going with someone but they called me up at ten past nine and told me they were ‘too tired’ to come. I have shut them out of my life now. They’re 3D glasses if you can’t tell. Amazing. 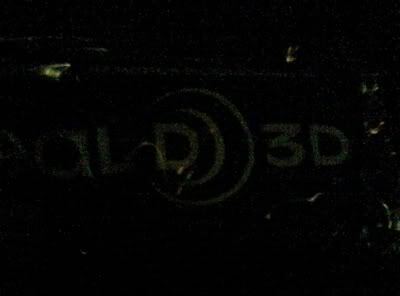 All screenings should be in 3D, whether or not the films themselves feature a third dimension.